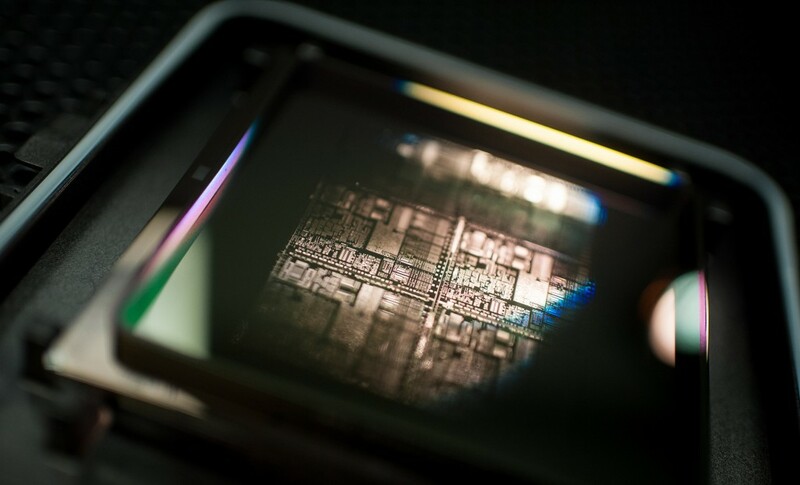 The photomask plays a critical role in the microlithography process used by our customers for the manufacture of integrated circuits (ICs), photonic devices, and micro-electro-mechanical systems (MEMS). A photomask consists of a fused silica (QZ) or, glass (SL) substrate coated with an opaque film, in to which an accurate replication of the device designer’s pattern is etched. In addition to a high degree of pattern fidelity, the photomask also has to meet our customers’ expectations for linewidth (critical dimension or CD) control, pattern placement (registration), and defectivity control. The terms ‘masters’, ‘sub-masters’ and ‘copy masks’ are usually used to refer to 1x photomask, while the term ‘reticles’ refer to 2.5x, 4x and 5x stepper or scanner photomasks. A functioning device can require between 5 to 40 individual photomasks, one mask for each step used in the fabrication process.